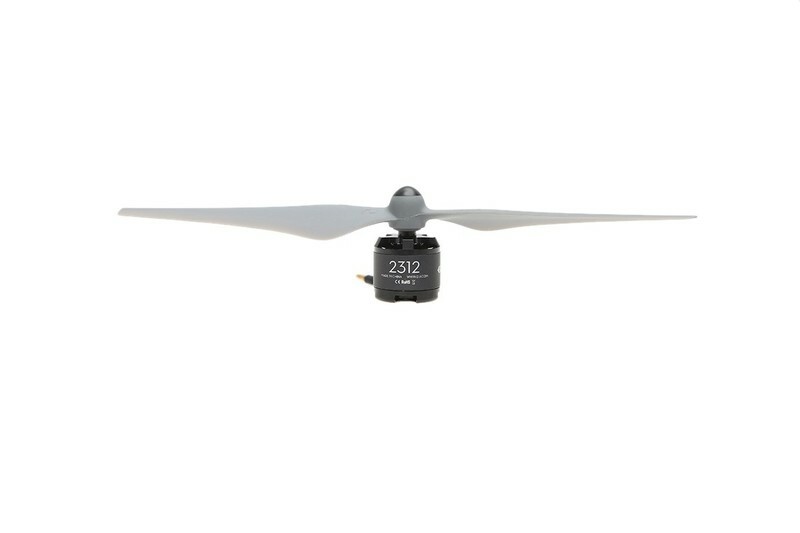 Brushless motors take the aircraft into the sky and keep cameras level. They are fast, powerful, agile, highly efficient and extremely reliable, making them ideal for everyday use. The way they are made and how they interact with everything from props to the airframe can have a huge impact on the way an aircraft moves through the air. A brushless motor has in its center an assembly of silicon-steel sheets and windings, known as coils. This core does not spin, so it is called a ‘Stator’. Surrounding the stator is an assembly called a ‘Rotor’ which contains a magnet yoke and a circle of permanent magnets. In a single-phase motor, when electricity is fed into the stator, a magnetic field that attracts and repels the magnets in the rotor causing it to spin through 180 degrees, is created. To keep it spinning, the poles of the electromagnet are switched every 180 degrees. This is how the force that powers the motor’s motion is created. Typically, the motor found on a drone is triple-phase, but this basic principle remains the same. The technology behind brushless motors is simple, but there are many ways that they can be refined and shaped to give pilots a better flying experience. DJI designs and manufactures all of its motors in-house and tunes them so that each motor is optimized for the aircraft it is paired with, from the Phantom 4 to the M600. Electromagnetic systems may appear simple but they are in reality a complex web of contributing factors, all affecting how the system behaves. From the dimension and shape of the stator, to the diameter of the coil to the materials used in overall construction. Using a complex simulation method known as Finite Element Analysis, DJI engineers evaluate all the potential implications to create the perfect motor, one that is highly efficient, maximizes output power, minimizes noise and vibration, and is able to react quickly to the pilot’s controls. Efficiency is vital to the design of a motor because without it, motor force is transformed into excess heat that can cause motors to fail at high speed or under heavy load. To combat this, DJI engineers utilize enameled coils and magnet materials that are highly temperature resistant. These are then complemented by either precision engineered heat dissipation fins for passive cooling on smaller motors such as those on the Phantom 4 or a centrifugal pump for active cooling on larger systems such as the Matrice 600. 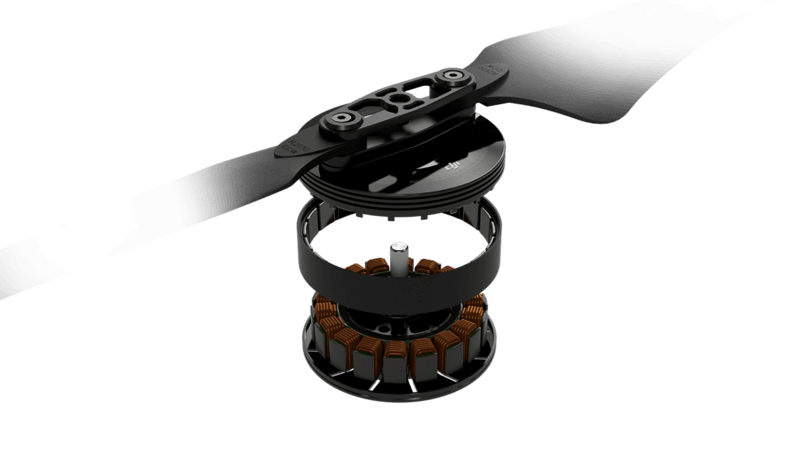 Stronger magnets provide more power, which is why all DJI motors use high-grade magnets, but the round shape of a motor means that traditionally flat magnets are highly inefficient in use. On smaller motors the difference in this efficiency is minimal, however in larger and more powerful motors such as those found on the Ronin and the Inspire 1, rounded magnets specially created for DJI are used. By rounding the magnets, the average distance between them and the stator is minimized and more uniform, resulting in higher efficiency. Specially designed copper winding machines wind the copper for all DJI motors, keeping them uniform. This machine also increases the number of coils in a given space, known as the slot-fill factor, which directly affects motor power and efficiency. Put simply, more coils mean more power and higher efficiency. Every DJI motor design is tested intensely before it is deemed ready for production. These include climate tests, flight tests and endurance tests. Once the design is finalized and the motor enters production, each one is carefully checked for balance as a part of quality control. A poorly balanced motor may suffer from reliability issues and performance loss, which is why DJI’s experts manually inspect and balance each motor. Next week, we'll look at propellers and how their shape and materials work with the motor to fly. 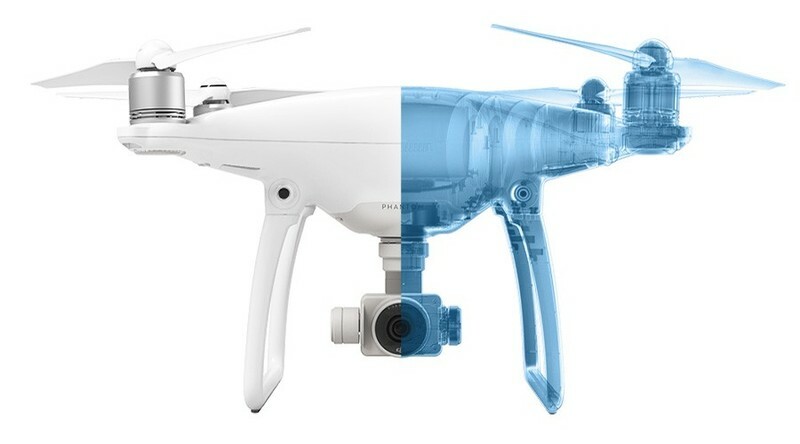 Intrigued by the Phantom 4? Stop by the DJI Online Store and make it yours!